ABC Financial Now Hiring Customer Service Reps in 9 States, Benefits – ABC Financial is a software company that specializes in the health and fitness industry. They currently work with over 7,000 health clubs and gyms. The company just posted openings for Remote Customer Service Reps in the following states: Arkansas, Alabama, Florida, Georgia, Kansas, North Carolina, Oklahoma, Texas and Virginia. Pay rate is not included in the job description however, Glassdoor indicates it is in the $10 – $11 an hour range. Congratulations to more RRR job finders! “I got hired at Working Solutions for their StubHub program! Thanks Rat Race Rebellion!” Angela Townsend posted to our FB page yesterday. And Jill Flinton posted, “I was hired as an Expert at JustAnswer!” Plus, Kristin Mason got the greenlight at NexRep, and Nancy Lee Jones got hired at both Rev (for captioning) and LiveOps! And Driver Candace posted, “I got hired by Lionbridge and Rev! I look forward to my email everyday. Thanks so much. 🤗”Well done, everyone!!! We hope you like your new [email protected] jobs! And thanks from the team for the pats on the back! 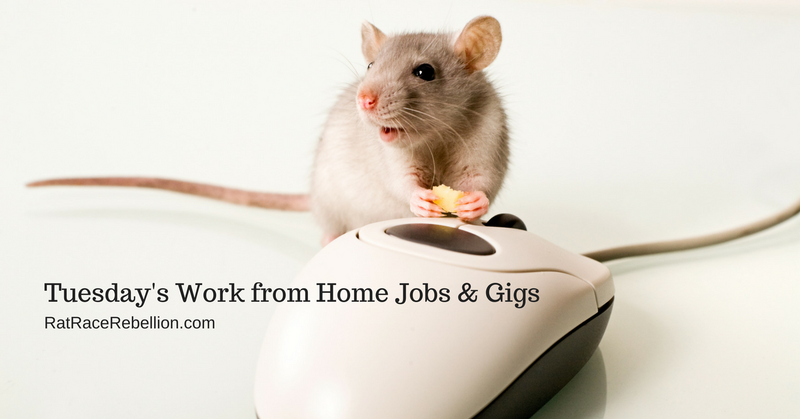 82 Non-Phone Work from Home Jobs Open Now – Many [email protected] jobs are phone-based, but they don’t work for everyone. If you’re looking for a non-phone job, here are 82 open now, all hand-picked and legitimate. Most of these don’t require college and don’t have state hiring restrictions. Corporate Campaigns Coordinator – Animal Equity: “To coordinate pressure campaigns to push major restaurant chains, groceries, foodservice companies, food manufacturers, and producers to adopt and strengthen meaningful farmed animal protection policies. Minimum of two years of experience in public affairs, corporate affairs, government relations, issue advocacy, grassroots campaigning, political organizing, communications, psychology, sociology, marketing, business, or related field.” Remote.